cosmetic services at Arizona Dermatology. If you’re scheduled to get Botox for the first time, or are considering it, we’ve got you covered. 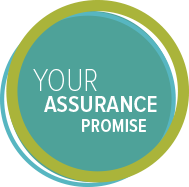 As leaders in the skin care industry, we’re here to make sure there won’t be any surprises along the way. Here’s what you can expect when getting Botox for the first time. Botox is the brand name of a chemical derivative of botulinum toxin. Botox is developed and sold by Allergan. Unlike regular botulinum toxin, Botox is not harmful to your health and does not cause illnesses that are associated with the toxin, such as botulism. Botox works to temporarily weaken the muscles in your face that cause laugh lines, the creases that form at the sides of your mouth, crow’s feet, wrinkles that present around the outer corners of your eyes, and other forms of wrinkles. The treatment results in the reduction of wrinkles and an improved appearance of younger looking skin. Botox does not paralyze the face completely or result in an unnatural appearance when the procedure is done by a qualified specialist. Who is eligible for Botox? With time, the contraction of muscles caused by laughing, smiling, or frowning produce permanent wrinkles and furrows in the skin. Generally, patients consider getting Botox after they notice these signs of aging. However, Botox is also effective as a preventative treatment beginning in your late 20s or early 30s. While Botox is most commonly associated with women, 9% of all Botox treatments are done on men. If you’re considering Botox, we’ll help you determine if you’re a good candidate for the treatment during your consultation appointment. Botox is a quick, safe, and effective treatment. In an effort to be completely transparent with our patients, here’s what you can expect before, during, and after your Botox treatment. Before getting Botox for the first time, you’ll meet with one of our specialists for a consultation appointment. At your consultation appointment, you’ll be asked to share the details of your medical history, to ensure Botox is a safe treatment option for you. Our specialists will also answer any questions you may have regarding the treatment, and discuss which areas of the face you wish to have treated. At the end of the consultation appointment, you’ll have a clear understanding of the amount of Botox you will be getting, and where you will be getting it. Our specialist need to know all the medications you take, including prescription medicines and over-the-counter remedies such as aspirin, vitamins, and herbal supplements. This is done to ensure that Botox will not react negatively with any of your medications. Any medical conditions you have will be discussed at your consultation appointment. If you have any muscle or nerve conditions, or have had swallowing or breathing problems in the past, you may not be a candidate for Botox treatments. You should also tell your specialist if you experience weakness in your forehead muscles, drooping eyelids, or have trouble raising your eyebrows often. If you have had surgery on your face, or plan to, our specialists will need to know, as this can impact treatment. Facial surgeries include elective procedures, such as brow lifts and face lifts, as well as medically necessary surgeries to the face and jaw. If you are pregnant, nursing, or plan to become pregnant, your specialist will need to know. Botox is not generally recommended for pregnant women. While there have been no studies to indicate that there is any risk involved with getting Botox while pregnant, your specialist will want to stay on the safe side and schedule your treatment for after the baby is born. You and the specialist will review what was discussed at your consultation appointment including how much Botox you’re getting and in which areas. The specialist will carefully identify and mark the areas to be treated. A mild cleanser will be applied to these areas. If you’re concerned about discomfort, the specialist will use ice or a numbing cream to numb the targeted area(s). The specialist will use a narrow micro-needle to inject Botox directly into the facial muscles. One to three injections may be needed. Ice and pressure will be applied to the treated areas to discourage swelling. Botox requires no initial downtime or recovery period. Meaning, you’ll be able to resume most of your normal activities immediately after your treatment. You should begin to notice results in the first week following treatment. Botox is a very safe treatment. However, as with any treatment, side effects can occur. Most side effects are mild and should disappear within a few days. If they don’t, contact your doctor. If you experience side effects such as a rashes, major swelling, or difficulty breathing and swallowing, seek emergency medical treatment. Severe side effects can indicate a rare but serious allergic reaction. The results of Botox can last up to three months. For continuous results, schedule treatments at regular intervals with your specialist. 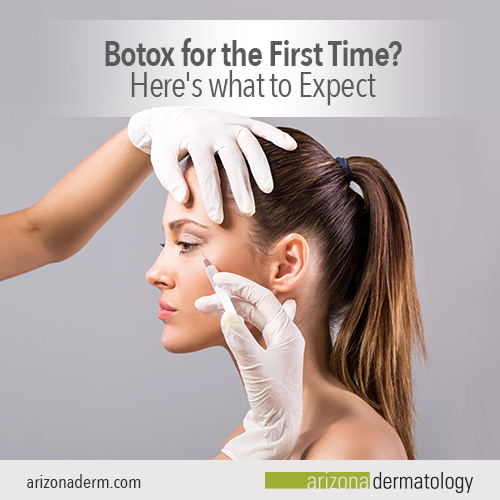 Typically, patients schedule a Botox treatment every three months, or before a special event. It’s important to note that Botox is not a permanent treatment. If you discontinue treatment, your lines and wrinkles will gradually return over time. Looking for information about Botox? If you want more information about Botox, or would like to schedule a treatment, contact us today. One of our experts will address any concerns you may have, or suggest alternate treatments if needed.